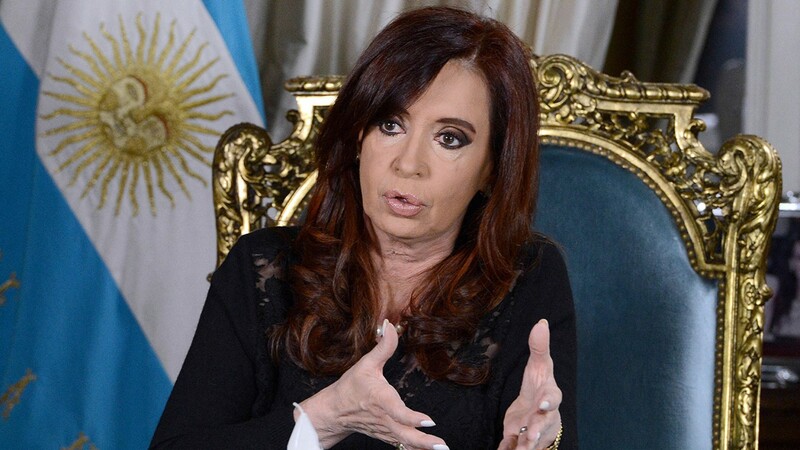 Home » What were the 3 big mistakes President Cristina Kirchner made when she said that Diabetes is the disease of the rich? 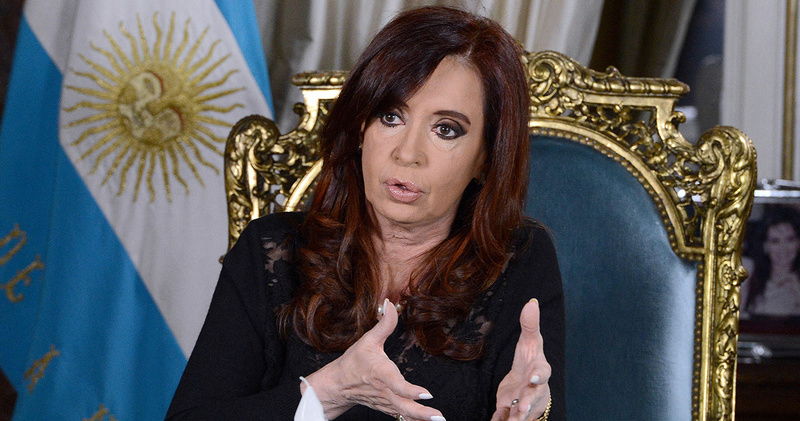 What were the 3 big mistakes President Cristina Kirchner made when she said that Diabetes is the disease of the rich? Yesterday March 13th, 2013, Argentinian president Cristina Fernandez de Kirchner, made a statement that is going around the world in social networks and which you can hear in this video. The most worrisome is that it was actually a president who said this, and who during her speech made three mistakes that caused a lot of trouble. But what were those mistakes and what are the real facts about Diabetes? Argentinean president Cristina Fernandez de Kirchner said yesterday that “Diabetes is a disease that occurs in people with high purchasing power, because they are sedentary and eat a lot.” This statement was made during her “Innovative Argentina 2020” plan presentation speech, where she also stated that there are 80 million Diabetics in the world. President Fernandez de Kirchner made the remarks at a ceremony held in the Hall of the Argentine Women at the Presidential House, to emphasize the commercial importance of the “Yacón Project”. But what is Yacón and what is this project about? Yacon is a sweet tuber that looks like an apple mixed with a potato, and which apparently contains special carbohydrates with low calories stored in its roots. The “Yacón Project” consists of the large-scale manufacture and marketing, by an Argentine laboratory, of a variety of products (using this tuber as raw material) and in which people with Diabetes are the main market. The Argentinean President’s, Cristina Kirchner, remarks undoubtedly promoted and highlighted the commercial advantages of this project by saying that Diabetes is a disease that affects people with high purchasing power and that there are 80 million Diabetics in the world. While it is true that people with excess weight or obesity who lead a sedentary life are at higher risk of developing Type 2 Diabetes, this doesn’t mean that those people have high purchasing power, who actually lack the economic resources, and are therefore associated with risk factors of developing Diabetes. The results of several scientific studies and clinical researches show that low income people have more than twice the risk of developing Diabetes in comparison to those with high purchasing power. A scientific study conducted by researchers from York University in Toronto, Canada showed that the risk of developing Type 2 Diabetes doubles in men whose incomes are very low, in comparison to those whose incomes allow them to comfortably cover for their basic expenses. As for women, these results were even more surprising, when researchers realized that the risk of developing Type 2 Diabetes triples in women with lower purchasing power. But why do people with low purchasing power have an increased risk of developing Diabetes? According to Dr. Dennis Raphael, professor of the York University Medical School, who led the study, this is firstly due to the need to survive all the time with little money, which causes a state of anxiety and chronic stress and which raises Cortisol levels. Cortisol is a hormone released in the body to help manage stress. Unfortunately, continuous high levels of cortisol can also cause a number of adverse effects, such as elevated blood glucose levels and abnormal blood pressure. On the other hand, low-income people don’t have access to healthier foods, as these are much more expensive, which is why they have to eat “cheap” foods which have a high carbohydrates and saturated fats content. In addition, the most deprived people don’t have access to adequate medical care which can help them control stress, make lifestyle changes and control they body weight in order to avoid a Diabetes diagnosis. Even worse, people with diabetes in the C, D and E socioeconomic strata are more vulnerable to the development of chronic complications associated with poorly controlled Diabetes because they can’t afford treatment or adequately control their glucose levels. This is why the International Diabetes Federation (IDF) and the World Health Organization (WHO), as well as all of the institutions who work to improve this situation, are permanently calling to the attention of political leaders so they can be more aware of the serious public health problem posed by Diabetes, particularly among the weakest and most vulnerable ones, so they can invest the necessary resources so that everyone can have access to a comprehensive health care service to minimize the number of cases of Diabetes in people with low economic resources. According to information from the International Diabetes Federation (IDF) there are currently more than 382 million people with Diabetes, and all projections indicate that this figure will increase to 592 million people by the year 2035. Which is why Diabetes is considered the largest epidemic humanity in history. According to the World Health Organization (WHO), Diabetes is growing faster in poorer or developing countries, precisely where most people with a low income live. India, for example, is considered the world capital of Diabetes and there are currently more than 40 million people who live with Diabetes there, and it is estimated that by 2025 this figure will exceed 70 million of all registered cases. According to a study by the University of Oxford, 65% of India’s population lives in “extreme poverty” conditions. This percentage represents 645 million people, which means that these results show that almost a third of the world’s poor population live in India. The rapid increase in the Diabetes incidence and the tremendous economic impact this represents, is getting out of control for health authorities, especially in poor or developing countries, because they don’t invest the necessary resources to develop prevention campaigns and a comprehensive health care system that emphasizes on the importance of minimizing risk factors, or who offer the most deprived sectors of their population with the necessary tools to prevent a Diabetes diagnosis or the onset of chronic complications in those who’ve already been diagnosed. Political leaders, especially the heads of state, should see Diabetes as a serious problem that needs to be resolved immediately and which should keep them awake at night due to the immense social and economic impact it represents for a country and the pain and suffering it can cause to those affected. If a political leader describes Diabetes as a business, where people with Diabetes are classified as an “attractive market”, this will undoubtedly cause great indignation and anger among the affected population. Political leaders, however, do need to promote private investment and economic growth of businesses, so they can manufacture and market their products successfully, including those for people with Diabetes, thus creating more sources of decent employment, development, progress and wealth for the country, but these should be entrepreneurs who see Diabetes from that perspective. That way, people will have a greater purchasing power and the country will be less poor and more developed, and will therefore be more able to solve or minimize this serious problem. No one is exempt from making mistakes, because erring is human. The important thing is to always learn from one’s mistakes and hopefully this will set an example for many people, especially those in high positions in government and political leaders from different countries, so they can understand the true magnitude of the Diabetes problem and figure out how to fight it more efficiently.